Flydubai promotional sale 2018: up to 20% discount off selected flights! 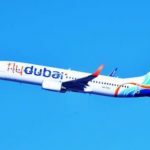 UAE government-owned low-cost carrier Flydubai with its HQ in Dubai International Airport has released new attractive promotional sale in 2018. This time you can book discounted flights by up to 20% when departing from Sofia, Belgrade, Catania, Prague, Bratislava. Sarajevo, Skopje, Bucharest or Krakow to selected destinations in Asia or Africa. THis time you can fly to Dubai from €161, Sri Lanka from €423 or Zanzibar €454 return and more.., Note that base fare is including all taxes and fees and 20kg checked luggage. However you would have to pay extra for in flight meals or entertainment system. Also excluding 3% booking fee. Flydubai promotional sale is running till 15th of September or until sold out of the promo tariff. Travel dates are then from 1st of November 2018 to 1st of March 2019. Note that this deal is bookable directly with the airline. You need to manually search for the routing you like. Currently plenty of travel options are available in said travel period. You can also Follow here to the list of discounted deals from each of the origin cities. Booking sample of this latest Flydubai promotional sale 2018: up to 20% discount off selected flights! In this case you would fly from Sofia to Dubai in United Arab Emirates on 11th of February. Your return flight from Middle East back to Europe would be then on 18th of February 2019. Price shown is based on OPEN membership. (Free to join). More details here.